The winner of this year’s World Car of the Year will be chosen from a final 10 vehicles. The overall and category winners will be announced on April 17. The finalists have been whittled down from an initial 40 selected by dozens of World Car jury members worldwide – including myself. 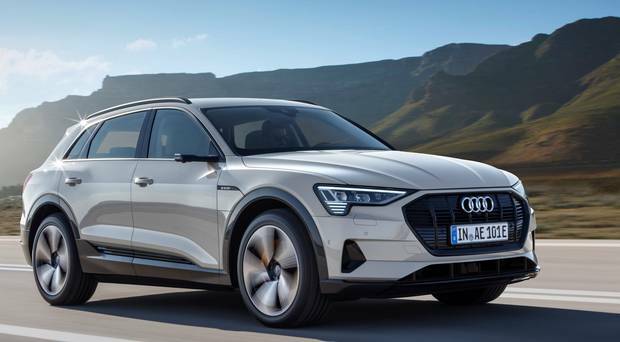 The Audi e-tron, BMW 3 series, Ford Focus, Genesis G70, Hyundai Nexo, Jaguar I-PACE, Mercedes A-Class, Suzuki Jimny, Volvo S60/V60, Volvo XC40. The Audi A1, Hyundai AH2/Santro, KIA Soul, SEAT Arona and the Suzuki Jimny. The Audi A7 and Audi Q8, BMW 8-series, Mercedes CLS and the Volkswagen Touareg. The Aston Martin Vantage, BMW M2 Competition, Hyundai Veloster N, the McLaren 720S and the Mercedes AMG 4dr Coupe. The Audi e-tron, Honda Clarity plug-in hybrid, Hyundai Nexo, Jaguar I-PACE and the KIA Niro electric vehicle. A special panel of world-renowned designers has chosen the final five in line for the World Car Design gong. The Citroen C5 Aircross, Jaguar E-PACE, Jaguar I-PACE, Suzuki Jimny and Volvo XC40.